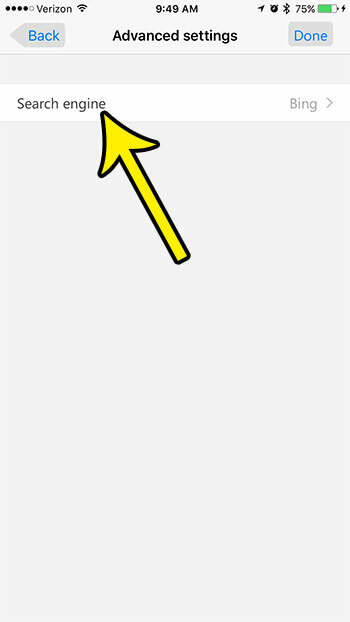 It has become pretty common for Web browsers to let you type a search term into the address bar that you also use to browse directly to a Web page. This combined utility lets them conserve space for other browser features, or simply minimize the amount of screen space that is used by the browser. But the search terms that you type into that field are automatically executed in the browser’s default search engine, and it might be using a different search engine than you would prefer. 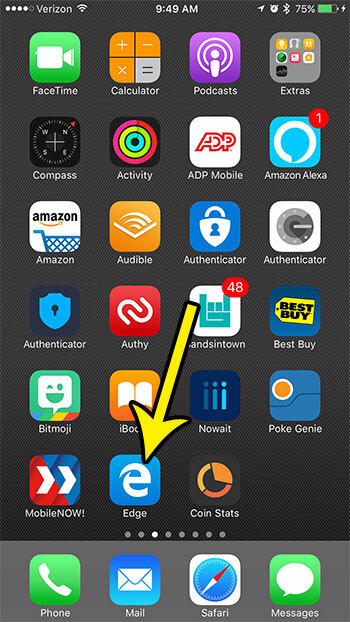 Our guide below will show you how to switch the default search engine for the Edge browser on your iPhone. The steps in this article were performed on an iPhone 7 Plus in iOS 10.3.3. The version of Edge being used was the most current version of the browser available when the article was written. 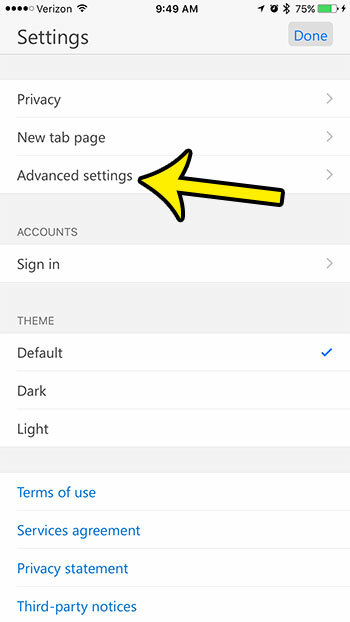 This will change the browser that Edge uses when you type a search term into the field at the top of the screen. You will still be able to search with any browser yu want by navigating directly to that browser’s URL. Step 1: Open the Edge browser. Step 4: Select the Advanced settings option. Step 5: Touch the Search engine option. 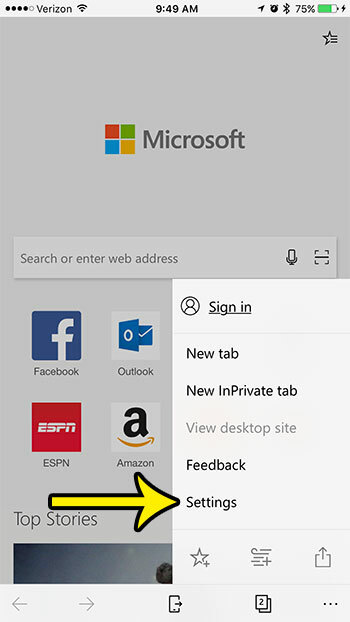 Step 6: Choose Bing, or touch the Others button. 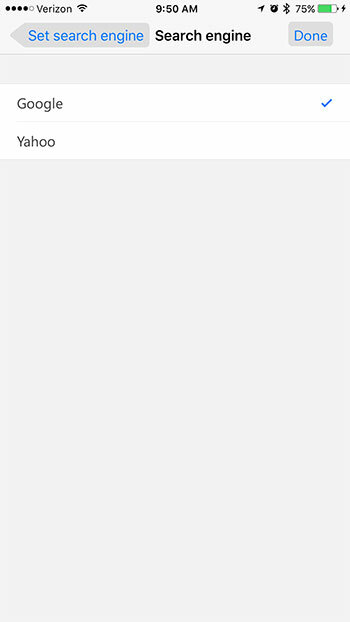 Step 7: Tap the search engine that you want to use. Note that this will not affect the default search engine for any other browsers that you might use on your iPhone, such as Safari, Chrome, or Firefox. Would you like to delete your browsing history, as well as any other data that might have been saved to Edge? 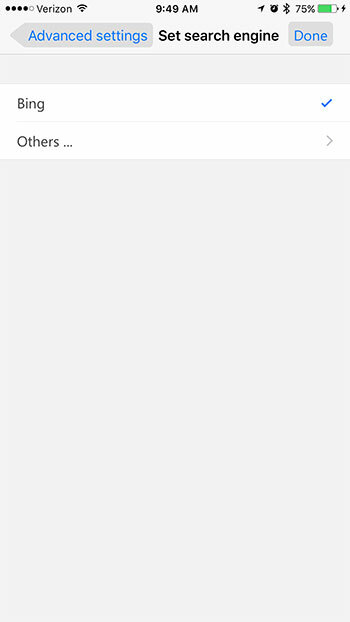 Find out how to delete personal data from Edge on an iPhone.